Add low-level, glossy dimension to your scrapbook page, greeting card or paper craft. Coordinate it with glitter, flock, stickers and more! 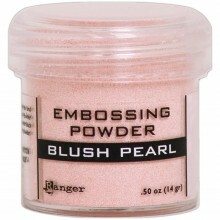 This package contains 0.62oz of embossing powder. Made in USA.Delivery Time : 3-4 business days.